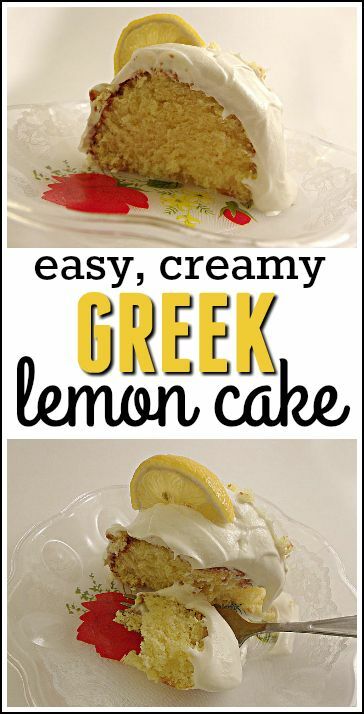 Easy Creamy Greek Lemon Cake - Ready. Set. Yum! There are days when you want to treat your family to something special, but there just isn’t the time to spend hours in the kitchen. 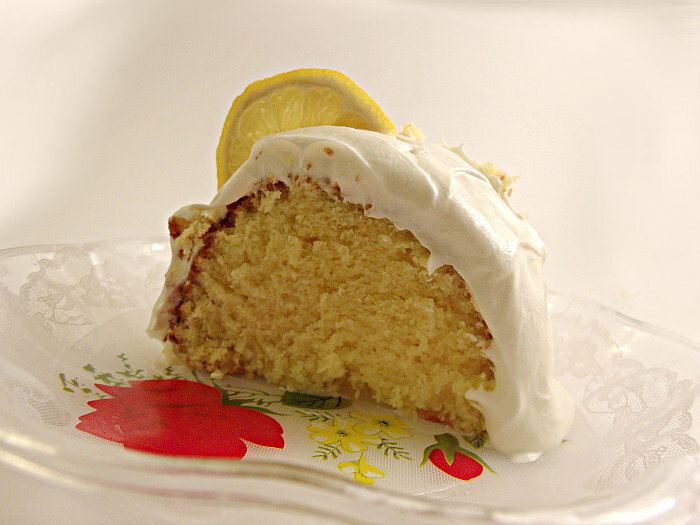 This cake is so delicious and simple to make. Gourmet Gods please don’t strike me down but it starts with a box cake mix! I know, I know! We are supposed to be slaves to these imperious gods, always doing everything from scratch, but guess what? Sometimes it just isn’t necessary. With a little tweaking, this box cake becomes a Mediterranean delight! 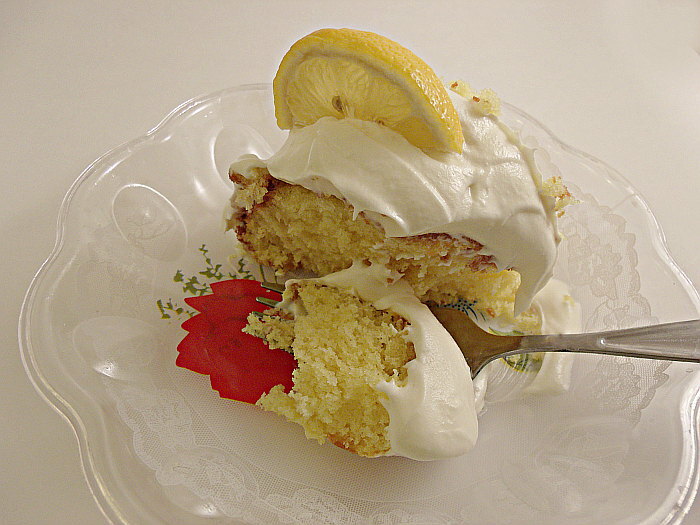 Start with a lemon flavor cake mix. 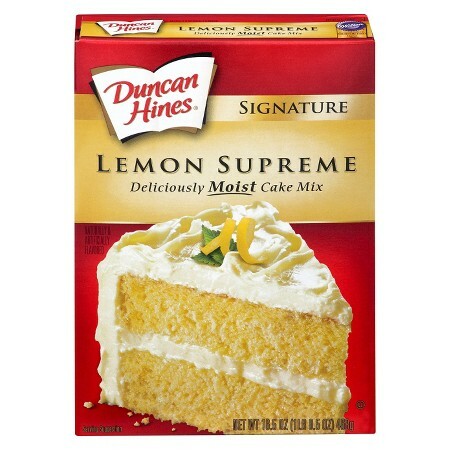 Any will do, but I like Duncan Heinz Lemon Supreme. Generally, I think box cakes are a little too sweet, but with the additions we’re going to be adding, it works out nicely. Follow the directions on the back EXCEPT add one egg instead of three, OMIT the oil, and instead add an 8 oz container of lime yogurt and 4 tablespoons of mayonnaise (don’t worry if you don’t like mayo, you don’t taste it in the cake, it is just for texture) and the juice from two lemons. If you’re using lemon juice rather than squeezing it (smart person that you are), that typically equates to 5-6 tablespoons of lemon juice. Follow the directions on the back of the box for baking. While the cake is baking prepare your icing. For the icing you need 8 oz of cream cheese softened, 1 stick of butter softened, 1 box of confectioner’s (powdered) sugar, dash of salt, and 2 teaspoons of vanilla extract. 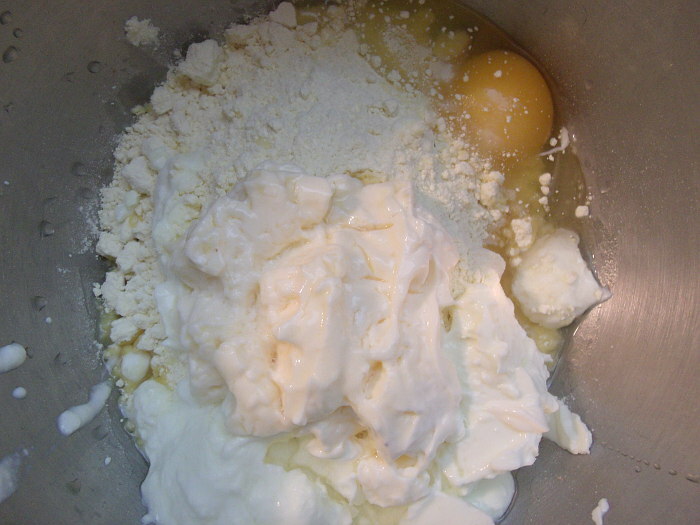 Set your mixer to medium to high speed and mix the butter and cheese until smooth, then add the salt and vanilla. Gradually add the powdered sugar. Don’t dump it all in at once or it’ll clump up on you. Mix until it is all blended together. Delicious and ready to go on your cake. Cool the cake before loading it up with this wonderfully rich frosting. Add ingredients as you are instructed to except ONLY use one egg.and omit the oil if it calls for it. With your mixer on medium speed, mix box of cake mix and all the ingredients called for on the back of the box, taking care to only add one egg, omit any oil, and also add the yogurt, mayo, and lemon juice. Mix until well blended, then pour into greased cake pan(s). This will make either a bundt, a sheet, or two 9 inch pans. Bake for the time suggested on the back of the box of cake mix. With your mixer on medium to high, mix softened cream cheese, vanilla, salt, and softened butter. Gradually begin adding powdered sugar. Mix until the frosting is smooth and creamy.